We have been working in the private and public healthcare sector for over 30 years. During that time we've realised that in healthcare we face wicked problems everyday. Join our channel to hear thought provoking, interactive, and challenging content on healthcare issues facing the UK today. 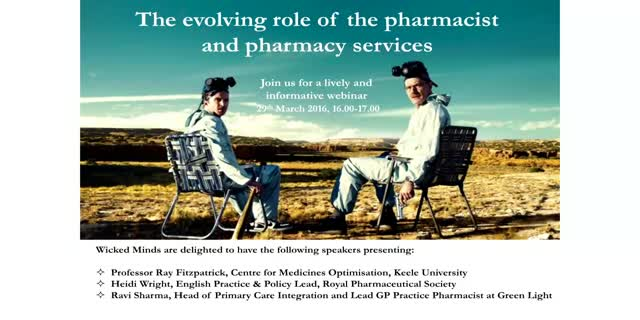 Join us for a lively and informative webinar that explores the evolving role of the pharmacist and pharmacy services. What does devolution really mean to managing healthcare locally?